Taken at a market in France. What I want to know is- Who was the first person to put this on their face? HELISKIN, one snail ingredient company, says that snail mucin is a natural source of Allantoin, Glycolic Acid, Glycosaminoglycans, Proteoglycans, Elastin & Collagen- acting as a powerful moisturizer & anti-oxidant which protects, regenerates and repairs skin tissues. 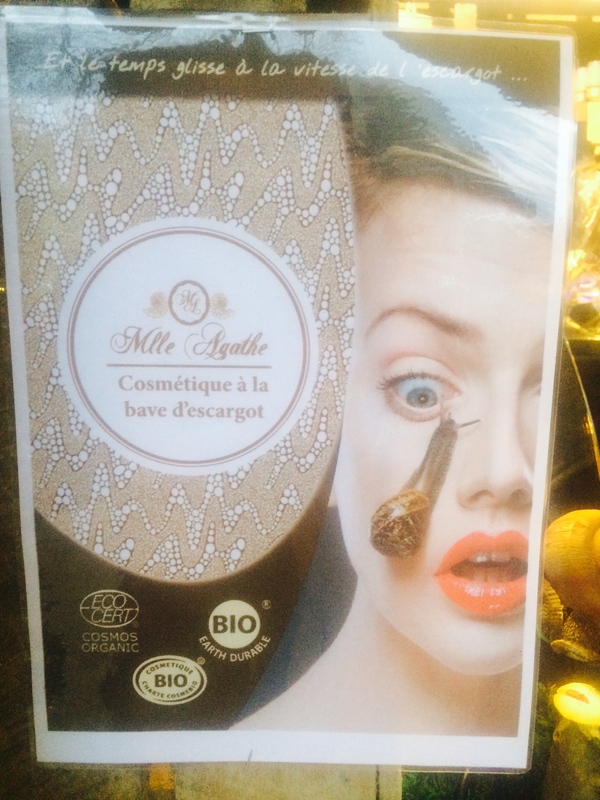 They also say it is not tested on animals nor does the process hurt the snail. 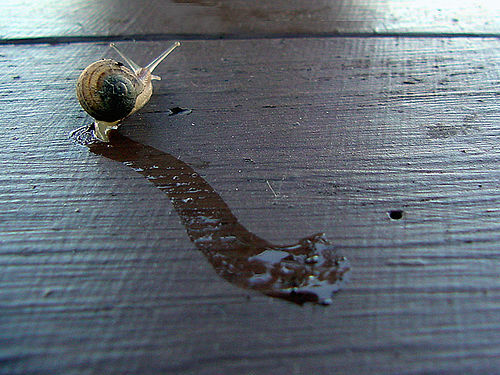 “Snail mucin extract is a complex blend of proteins, glycolic acids and elastin. It has been recognized for many years—as far back as Ancient Greece—as an ingredient that reduces inflammation.” “The extract is renowned for its regenerative properties, and facilitates the restoration of damaged tissue and replenishes moisture in skin. It is also effective in treating acne and scarring.” Dermatologist Macrene Alexiades-Armenakas M.D. Dr. Elizabeth Tanzi, the co-director of the Washington Institute of Dermatologic Laser Surgery, said: ‘There is some speculation that the mucin in these slime creams can be anti-inflammatory and calming; however, there are no respected scientific studies to prove that it actually works. For now, I remain skeptical.” As do I.
It’s been said that any press is good press and this ingredient definitely has people talking. The bigger question is will people buy into the hype & the high level of ick factor? I’m not so sure. Reblogged this on Juline Hamilton.